Congratulations to Carl Millard, manager of IfcarlsbergdiddidFF who stormed to victory in game month one and won himself £250 worth of Pretty Green vouchers. Runners up in this debut game month were Mark Gilmour and Lucian McGinn, who scooped up £150 and £100 in Pretty Green vouchers respectively for their 2nd and 3rd positions. Pretty Green Fantasy Football is new this season to Sky Sports and it's something we are very proud of. All Pretty Green staff are taking part, along with Liam and several of his friends. Liam's Team News - Having dropped the erratic Balotelli and party loving Carroll midway through the first game month, Liam's new look attack of Van Persie and Sergio Aguero have powered his team up the table, claiming 13301 place on the overall leaderboard. In the next month Liam promises to lay down more attacking options, so be on your guard! The next game month has already started and runs through until 31.10.11, when the prizes will again be Pretty Green vouchers - 1st £250, 2nd £150, 3rd £100. 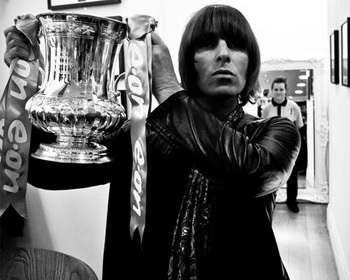 Don't forget that you're also playing for the bigger overall prize of Champion of Pretty Green 2011-12! With new prizes and monthly scores back to zero, now is a perfect time for new members to join, so spread the word - Pretty Green FF is the only rock n roll option!